The 524KL Health-o-meter Professional Digital Pediatric Seat Scale is an innovative and user friendly device that captures the weight of an active baby. Its durable weighing seat encourages babies to relax, which provides a more accurate reading. 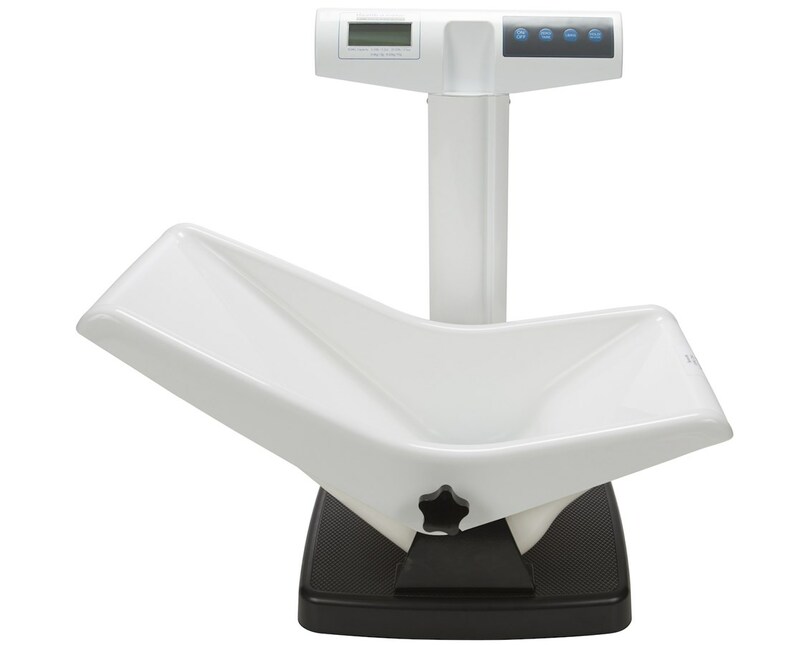 Some of the functions included with this scale are essential for an enjoyable weighing experience. The Tare function allows you to add more weight using the "zero set" feature, thereby not affecting the end result. This is ideal for babies who require added clothing, blankets, etc. The Hold feature allows you to "hold" the weight on the display even if the child moves. The Programmable Auto Off offers the ability to program whether or not the scale will turn off automatically. 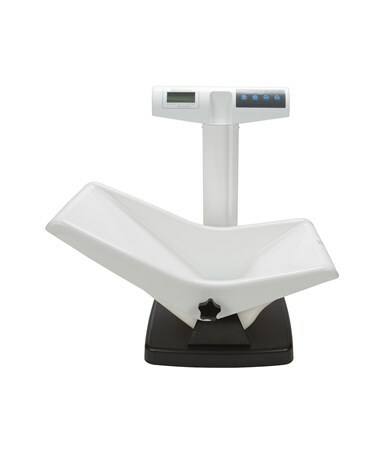 Made with easy-to-clean ABS plastic, this scale is simple to sanitize. Six AA batteries are included with this model for your convenience. You may also choose to power your scale with an AC adaptor (ADPT30 - not included). The 2 year warranty ensures that any problems you encounter with this scale will be quickly and efficiently resolved. For all those in pediatric care who are looking for a scale a step above the standard infant tray scale, this 524KL model is sure to be a welcoming asset to your facility. Overall Measurements 24.5” x 21" x 23.23"